Coconut yogurt is a delicious and healthy alternative for vegans and individuals with milk allergies. Its growing popularity has made it an excellent diary substitute. Coconut yogurt is made from coconut milk, which is obtained from the inner meat of coconut. These nutrients are essential for a healthy living. Moreover, coconut yogurt contains certain ‘healthy compounds’, which promote good health as well as help in fighting against various diseases and infections. Individuals who are allergic to milk and milk products experience undesirable symptoms, when they consume such products. Coconut yogurt is a healthy alternative for such individuals. They can easily enjoy fruit yogurt and parfaits by making coconut yogurt a part of their diet. Like coconuts, coconut yogurt is also very rich source of antioxidants. So, it helps to improve health by fighting off free radicals in the body. Note: Some people add a thickener such as gelatin or agar-agar while preparing coconut yogurt. This is just to add extra creaminess to your yogurt. Add coconut yogurt, coconut milk, bananas and honey to the blender jar. Blend all ingredients until smooth. Enjoy this nourishing coconut banana smoothie. Add all the ingredients in a blender jar and blend them until smooth. Refrigerate it for 20-30 minutes. Can we use coconut yogurt for babies? Some babies have dairy and soy allergies. Such parents must start with application of coconut oil on baby’s skin. If there are no adverse reactions, let your baby taste 2 to 3 drops of coconut oil. If it is well tolerated, go ahead with 2 to 3 small spoons of coconut yogurt. If there are no signs of indigestion your baby can consume coconut yogurt. Once your baby turns 8 months old, gradually introduce coconut yogurt to him/her. Yes, coconut yogurt is a powerhouse of nutrients, which makes it a completely healthy alternative to traditional dairy yogurt. It contains healthy fat, essential vitamins and minerals, live cultures and health promoting plant compounds, thus making it advantageous for human health. Does coconut yogurt have probiotics? Yes, coconut yogurt contains probiotics just like dairy yogurt. When coconut yogurt is prepared, a starter culture or probiotic such as Lactobacillus Bulgaricus is added to coconut milk. It is then kept aside for fermentation, where healthy and gut-friendly bacteria are produced and multiplied. Store it at a low temperature to keep the bacteria alive. If coconut yogurt is exposed to heat or further processed, it may lead to loss of bacteria. Just like coconut milk, coconut yogurt contains fat in the form of Medium Chain Triglycerides (MCTs), which are easily digested and are not stored in the body. They reduce your appetite and you feel less hungry. Hence, lesser calories enter your system and it helps in weight loss. However, eating sweetened coconut yogurt is not a good choice and can lead to weight gain. Always choose unsweetened coconut yogurt if you want to lose or maintain your body weight. Yes, coconut yogurt is made using coconut milk. Coconut milk is extracted from the inner meat of the mature coconut. Because coconut milk is produced from a plant, coconut yogurt is 100% vegan. Do add non-dairy probiotic capsules or starter culture to your coconut milk while preparing coconut yogurt. While preparing coconut yogurt, probiotic or starter culture is added to coconut milk and it is then kept aside for fermentation for 8 hours or overnight. After 8 hours all you will get is a thick, rich and creamy coconut yogurt full of healthy bacteria. Is it good for you? Why? Yes, coconut yogurt is a healthy food ingredient, which is full of nutrients, healthy fat, proteins and health-enhancing compounds. Coconut yogurt, strengthens the immune system, helps in weight loss, increases HDL ‘good’ cholesterol, protects the heart and fights gut issues. It is further beneficial for individuals who are allergic to milk. Yes, coconut yogurt is dairy-free because it is not obtained from any animal milk, but it is made from coconut milk, which comes from a plant source. Unsweetened coconut yogurt does not contain sugar. If you are looking out for coconut yogurt without sugar, do not add sugar to it, while preparing it at home. However, flavored coconut yogurt available in the markets, do contain sugar, thus, check the food label before you purchase it. 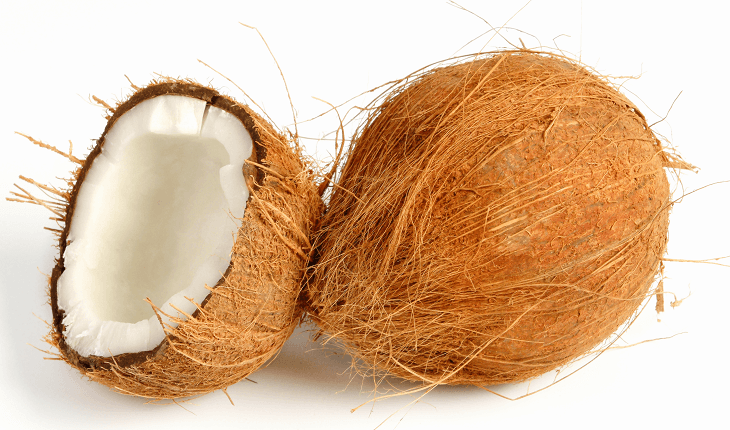 Coconut contains natural sugar in the form of fructose. If you observe any abdominal problems, digestive problems, diarrhea, bloating and flatulence after consuming coconut-based product, such as coconut yogurt, then fructose and fructans present in it may be responsible for such issues. In such a case, limit your intake of coconut yogurt.